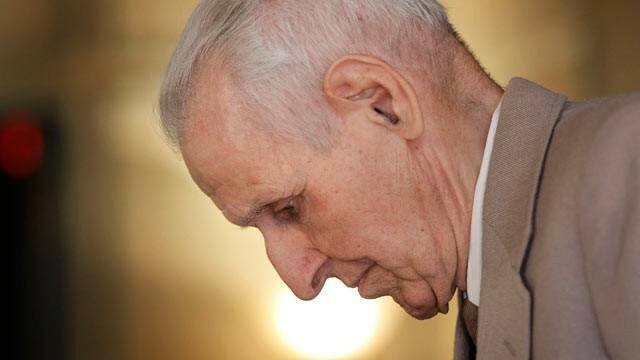 Jack Kevorkian, who was born May 26, 1928, died two days ago, at age 83. From 1990 to 2000, Jack Kevorkian was arrested many, many times for helping more than 100 patients commit suicide. He used injections, carbon monoxide, and his now-infamous “suicide machine,” which he hammered together from scraps for approximately $30. “Dying, he believed, should be an intimate and dignified process, something that many terminally ill people are denied, he said. “Shortly after, a study in the New England Journal of Medicine found that many doctors in Oregon and Michigan supported some form of physician-assisted suicide in certain cases. “One of his greatest victories occurred in March 1996 when a U.S. Circuit Court of Appeals in California ruled that mentally competent, terminally ill adults have a constitutional right to die with the aid of medical experts and family members. It was the first federal endorsement of its kind” (source). Arguably, Jack Kevorkian’s lasting legacy will be in the fact that he (with the invaluable help of his smart and charismatic lawyer Mayer Morganroth) so thoroughly raised the world’s awareness about euthanasia, and I, for one, was a supporter of him: obviously, if we each possess the right to our own life — and we do — we also (therefore) possess the corollary right to end that life when we choose. ““Shortly after, a study in the New England Journal of Medicine found that many doctors in Oregon and Michigan supported some form of physician-assisted suicide in certain cases”. Really ? Whats the big deal ?